The Rebel Sweetheart. 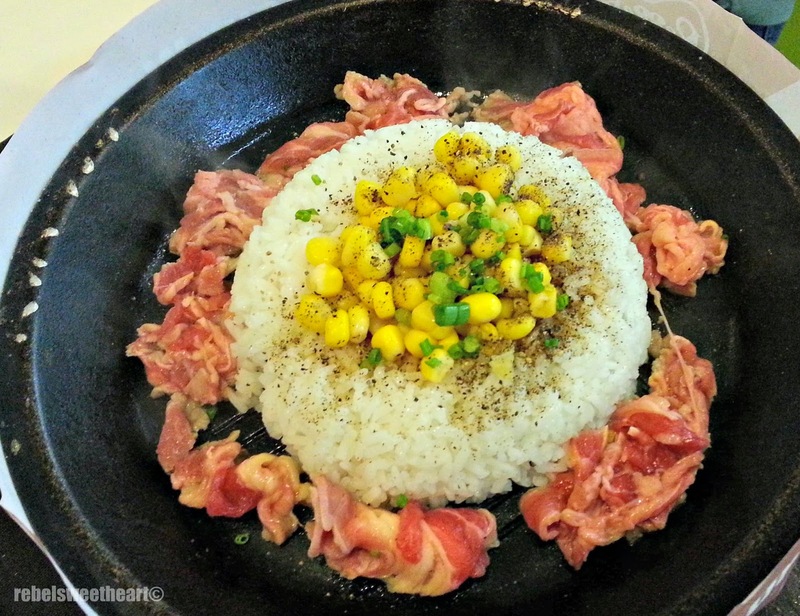 : Foodie Goodie | Pepper Lunch. 33 days to go 'til Christmas, and I've crossed out almost all of the items on my Christmas shopping list. Thanks to our Binondo/Divisoria shopping trip last week, I was able to accomplish almost 80% of this Herculean task within the span of ten hours. Crazy, I know! My friends and I arrived at Lucky Chinatown Mall a few minutes after its doors opened, and from there we spent an entire day walking, haggling, and shopping along the streets of Binondo and at the 168 and 999 Mall. 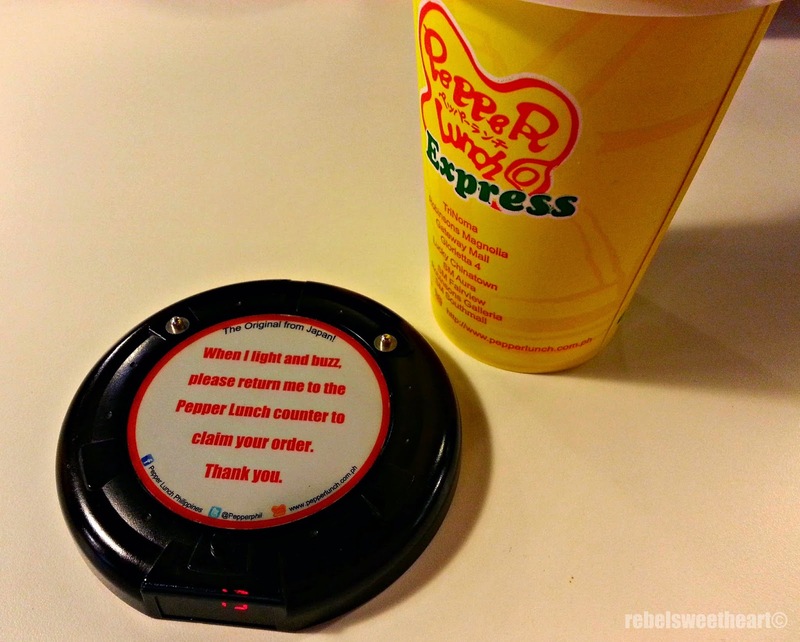 The only time we took a break from all that walking and shopping was when we had lunch at Pepper Lunch Express, located at the 4th floor of Lucky Chinatown Mall. I fell in love with their Beef Pepper Rice the first time I tried it (that was around four years ago, if my memory serves me right), and I've been a fan of their food ever since. Founded in 1994 with its first establishment in Tokyo, Japan, Pepper Lunch now has over 200 restaurants all over Asia, including South Korea, Thailand, Singapore, Macau, Hong Kong, and the Philippines. Its founder, Chef Kunio Ichinose had this business model in mind when he was conceptualizing the restaurant - provide tasty steak in fast food style at a reasonable price. And from there, the idea of 'sizzling it your way' (aka cooking your own food) was born. 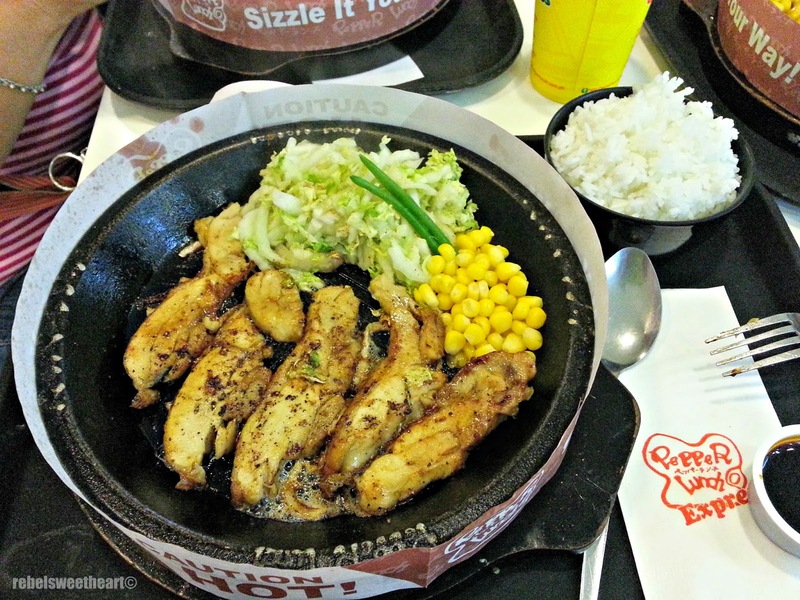 At Pepper Lunch, meals are served on sizzling plates, which are actually electromagnetic cookers. They heat up to 260 degrees Celsius, which allows you to cook your raw meat within minutes. Beef Pepper Rice, Php 198. No worries about the meat being undercooked as they're sliced very thin, like bacon. When the meat is ready, mix it with amakuchi (honey brown sauce) or karakuchi (garlic soy sauce), or a combination of both. 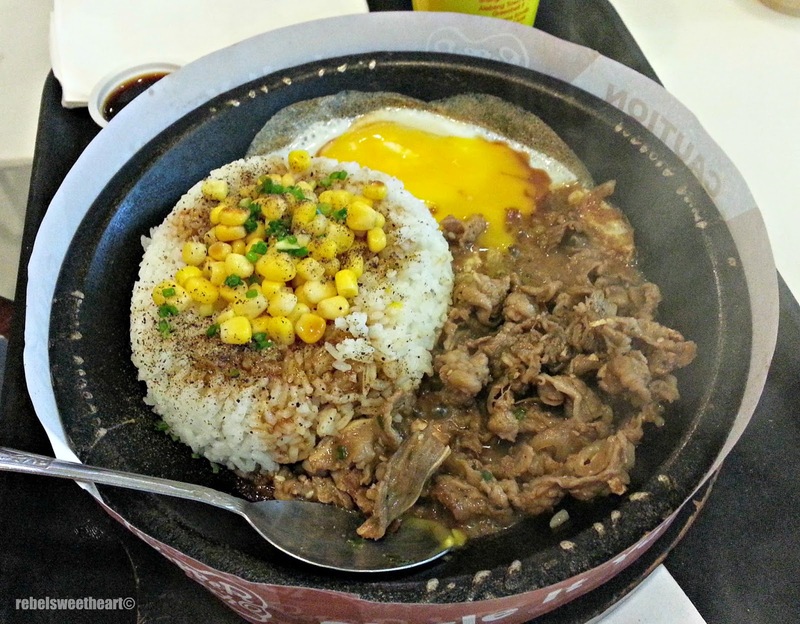 Teriyaki Beef Pepper Rice with Egg, Php 235. Some dishes are served with an egg, like the Teriyaki Beef Pepper Rice which my friend ordered. You mix the egg and the beef together, but before you do, make sure both of them are cooked all the way through. Then you mix in the teriyaki sauce. 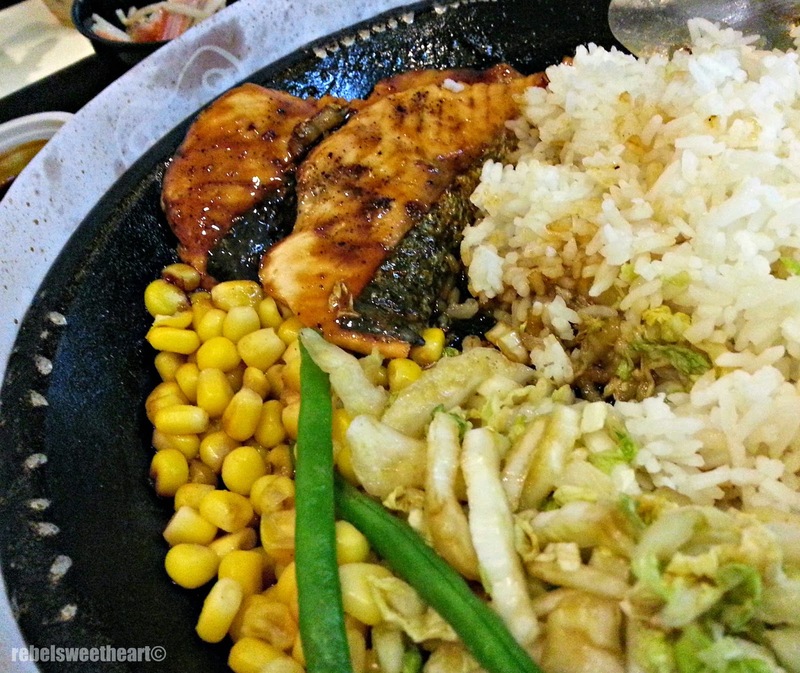 Aside from beef, Pepper Lunch also serves fish and chicken. These dishes are served with vegetables on the hot plate, with the rice in a separate bowl. You can put the rice into the plate after you've cooked the meat, or you can just take spoonfuls from the bowl as you eat. Teriyaki Double Salmon, Php 325. Teriyaki Pepper Chicken, Php 325. Also on the menu are salads, soups, and desserts. 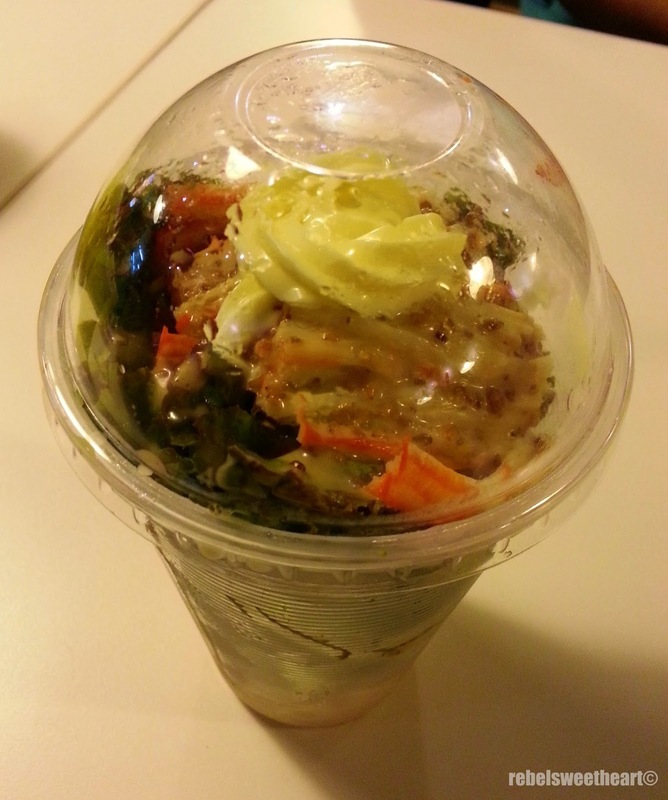 My friend ordered a Kani Salad, which was served in a cup. Apparently, they're called 'Shake Shake Salad', which you have to shake (to mix the dressing and veggies together) before you eat it. 1) Keep your hands off the electromagnetic cooker. They're extremely hot. 3) Season your meat with sauce. You can season them while turning the meat over, or after the meat is cooked. There are about ten Pepper Lunch restaurants in the Philippines, and six Pepper Lunch Express branches. They do takeaways and deliveries, and they accept group bookings and party reservations, too. That Teriyaki Beef Pepper lunch looks amazing. I would love to have some for my lunch today! That food looks SO good. The sizzling plate idea is smart, too! I have never been to a place that served food on one before. Everything looks so good. Would love to try that salad. Oh that food looks sooooo good!! It has made me hungry! Wow this food looks amazing. You were smart and got an early start. I did that one year and found clearance items throughout the year. It helped a ton bc I wasn't rushing around getting stuff last minute. Yum! Those look like delicious meals! I'd love one right about now. I've never seen that before, how neat! The dishes sound tasty! This food sounds and looks amazing. I would love to try the Teriyaki Beef Pepper Rice with Egg. It looks so good. Thanks for sharing.